At first glance, John seems to be drawing a sharp contrast between the Law on the one hand and grace and truth on the other. And if we filter John’s language through the grid of Paul’s teaching in Romans and Galatians, the juxtaposition of law and grace becomes even more pointed. However, I don’t think that is what John intends by this passage. Granted, if we read it through the lens of Paul’s letters, and in light of the Reformation’s emphasis on justification by faith, we will draw the conclusion that John is contrasting law and grace. But the first rule of Bible study is to read passages in their own context before drawing contemporary applications. So let’s think about the text in John 1:17 in the context of the first century. If you were a Jewish believer, as John was, the Law and grace/truth were not mutually exclusive. 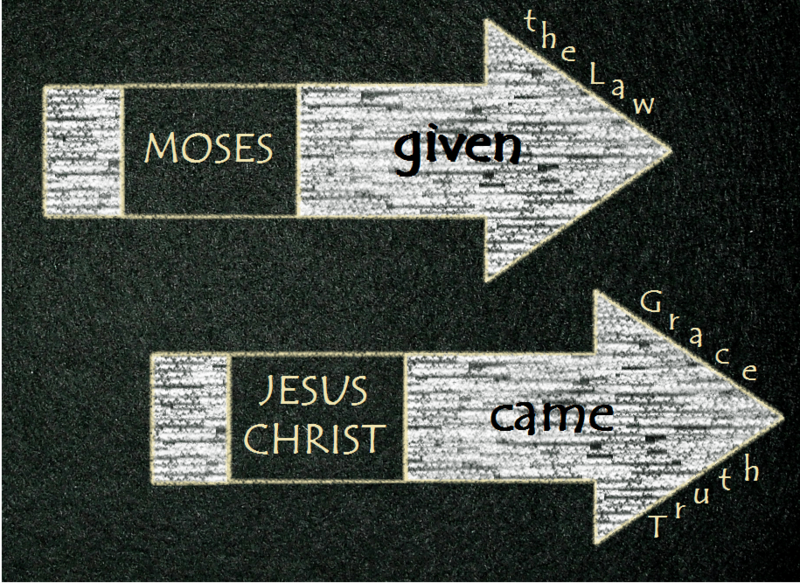 To the contrary, the giving of the Law of Moses was considered a profound act of divine grace. Even Paul says as much! “The Jews were entrusted with the oracles of God” (Romans 3:2). This is why the psalmist celebrated the Law as sweeter than honey and more precious than gold, and prayed to God to “graciously teach me your law!” (Psalm 119:29). The opposite of “Law” is not “grace”, and it is certainly not “truth”. Jesus himself testified to the complete truthfulness of the Law. Its authority is so sure that not even the smallest stroke or letter can be ignored (Matthew 5:17). The enduring truth of the Law is so firm that according to Christ, “Scripture cannot be broken” (John 10:35). The Law was given, grace and truth came. The Law was given through an intermediary, Moses. If you remember the account of the giving of the Ten Commandments (by the way, since they were given, they were a gift – an act of grace! ), the people were terrified by the voice of God and insisted that Moses serve as an intermediary (Exodus 20:18-21). But in Christ, who John says is the Word of God (John 1:1), the divine message came in person – literally – in Jesus of Nazareth. Therefore, the contrast in the text is between the giving of the word of God to the people in an indirect fashion, and the coming of the Word of God to the world in a direct fashion. We have received grace and even more grace – how? The Law was a gift of grace. But as great of a blessing as it was, it was not the fullest expression of God. That came when the Word became flesh. The Law was a gift of grace – Jesus was an even greater gift of grace. This passage, then, is an important reminder about the most distinctive doctrine of Christianity. In Islam, God’s most direct revelation is the Quran. In Judaism, it is the Law. But in Christianity, it is a person – the Word.